Stainless Steel 4-Way Misting Cross | RAMM Horse Fencing & Stalls. When air exchange and fan recirculation is not enough to cool your environment, consider this stainless steel cross, 4-way misting system. This misting system comes completely assembled. 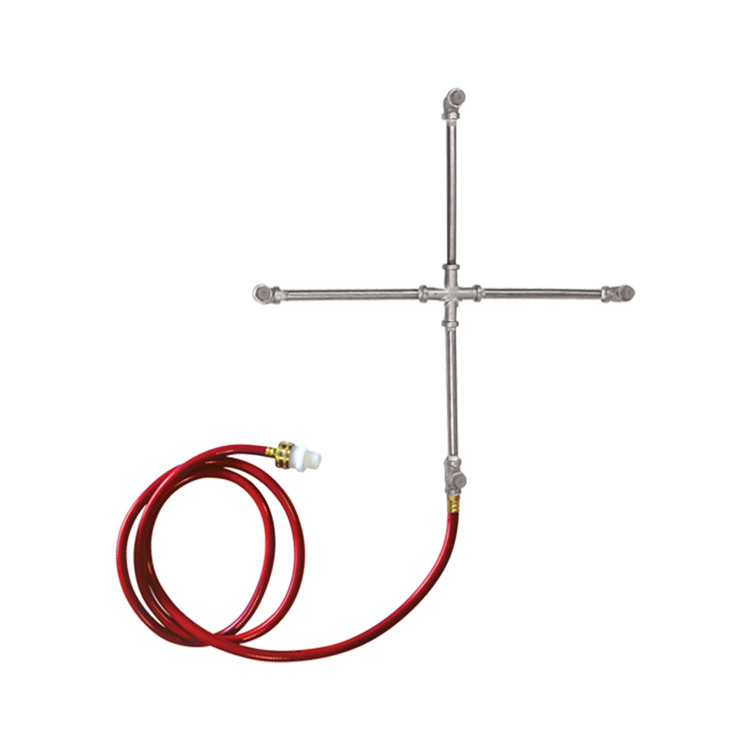 When air exchange and fan recirculation is not enough to cool your environment, consider this 15"x15" stainless steel cross, 4-way misting system. The rigid construction of the stainless steel mist kits keeps nozzles perpendicular to the airflow for a consistent mist pattern. This misting system comes completely assembled with nozzles, hose, and a female hose connector. 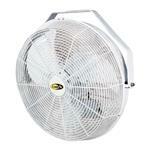 Misting systems can be easily attached to any recirculation fan guard with the included cable ties. *Misting GPH is based on 40 PSI of water pressure. With low pressure misting, the area surrounding the fan must remain clear in order to provide ample time for the water droplets to evaporate so they do not reform on a solid surface. Whenever you inject moisture into a closed building, you must have a proper air exchange strategy.